Poll results: Can the more open nature of iOS 8 bring the Android marginals into the Apple fold? 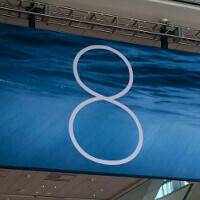 Just three days ago, Apple took to the stage during its annual WWDC developer meet-up, and announced the next iteration in the company's iOS history: iOS 8. Unlike the last major update (iOS 7), iOS 8 won't feature any significant design changes, and will instead build upon the existing functionality and features stack with a number of new goodies. In fact, what really sets this particular update apart from past efforts is the underlying message it seems to carry: Apple is finally willing to open up a bit. Indeed, with support for third-party apps, (relatively) open access to the Touch ID fingerprint scanner for developers, and several other multitasking enhancements, it would appear that Cupertino is finally easing on its obsession of sandboxing everything (not that that's a necessarily bad choice). iOS 8's feature list goes on and on, of course, but the above changes did struck us as the most essential, especially in a world it has to share with Android. In fact, one could speculate that this, in a way, could be Apple's way of addressing the growing influence of the rival OS. Which is why, immediately after Apple's event, we went ahead and asked your opinion. Could these changes and the promise they hold for the future help Tim Cook and company claw away at Android's share, specifically with people that find themselves on the fence? A resounding "NO! ", that's what the majority of poll participants, some 45.74%, had to say. Another 20.38% agreed that this new Apple approach is intriguing, but they remain skeptical for now. On the other side of the barricade, 20.79% of poll takers consider this a very real threat to Android, though they wouldn't make any bets just yet. Lastly, 13.09% consider this move to be a very real nail in Android's coffin. Apple is doing the right thing by gradually opening iOS rather than just make it open from the start and look like an OS in beta. Hilarious comment... NOT. Let us know when iOS gets out of that Alpha stage ok? Actually a lot of features that apple's releasing on iOS, the ones you claim android already has, were jailbreak features. Root access is not needed to make Android more functional and feature rich than iOS. app store videos, interchangeable keyboards, widgets, touchless controls, "quick type" (predicting your next word when typing), cloud storage, syncing your photos online, were all things Google's been doing for a while now, some longer than others and none require root access. You just shut his gob up, and he has dissappeard. He will never reply back to you What a shamless troll, the guys in his 30+ and has no respect. I'm not 30 or anything over 30. You're welcome to remove that foot out your mouth. Arte is the most stupid troll I've encountered yet. I wonder how long PA will let him stick around, before they drop the hammer. He brings down the site. Systems wide backup and restore Android: root access required iOS: just an Apple ID App data, apps, photos, etc are all backed up System updates Android: dependent on oem or root required to use a custom rom iOS: update and go Uninstall apps Android: from system menu, drag n drop, or via app iOS: just one click uninstall Don't act like android is so far ahead. Android may be able to do some of those features natively, but are those features easy, simplified, and consistent across the board? Android doesn't require root to backup ,it does for third party apps. LOL at your iOS " iOS: just one click uninstall " seriously ? Almost forgot ,i can have GS5 rom on nexus 5. Can iphone 4 have features from 5s ? Systems wide backup and restore Android SDK iOS: No need for a computer and iTunes installed? System updates iOS: Not dependent on Apple to release before can update? iOS can flash custom ROM after Jailbreak? Uninstall Apps Hyped over such revolutionary feature on iOS? root access is not needed to make android more functional then why does every single person i know with a samsung root it and puts vanilla android on it huh ? hmmm... 2 things: 1. I didn't claim anything. Even though its true that Android already did have those features. That Apple ripped off. Blatantly. Copy much? 2. The fact that the iPhone didn't have such functionality NATO belt unless you jail broke it is pathetic and a strong testament to the iPhone being akin to nothing more than a feature phone or like one of the launchers on Android. Apple will always be playing catch up. Hardware wise and software wise. And they will always steal from the competition. And they will unfortunately always have fanboys like you who think it's ok for Apple to blatantly rip off the competition, yet whine like 2 year olds when someone does it to Apple. Android is a Linux family kernel Apple is not. Unix. You stated Apple is not. Unix. Well its based off of FreeBSD, which is unix like. I guess you were not on here around 2009-2012, were you? You have to joking right? All iPhone fans here do is criticize Android. ESPECIALLY Mxy. So please get your facts straight and know what you're talking about before you comment. As for those features that were present "thousands of years ago"... 1.none of these Operating systems existed thousands of years ago. You sound ridiculous. 2. Drop down menu/notifications,widgets, app sharing, air drop, heck even the smart keyboard and look of iOS8 is all ripped off from Android, WP and BlackBerry. Not to mention what iMessage stole from BBM and WhatsApp. None of those features were present on Symbian or MAC's or Windows Mobile. What's predictable is iFans popping out of the woodwork to defend Apple blindly as if they could do no wrong. Like you just did. I was responding to what Mxy said. And here comes another iFan blindly riding to the rescue. Not even knowing why. I could care less that you like that tinker toy OS. Mxy made a negative comment about Android. Thus my response. Mind your business next time. Or at the very least, find out why something was said before sticking your foot in your mouth. "All iPhone fans here do is criticize Android" So exactly what you are doing by criticizing Apple? "made a negative comment about Android" It actually sounds like you came "popping out of the woodwork to defend" And you responding to the obvious joke of 1000 years ago makes you look silly. And Drop down notifications are based from the start menu you found on Windows Mobile in the early 2000's. Android pulled an Apple and took an idea and made it better. The start menu on Windows Mobile had an option to go into your message app. So Android took that idea and made it better by just putting the message in the menu. Whats App came out way after BBM so I think you should say Whats App copied too if Apple copied Whats App. Widgets were a part of the OSX that lauched in 2004. Now I will also say widgets were out before that as well. Again Windows Mobile had widgets when Samsung made touch wiz on Windows Mobile phones and HTC made sense for Windows Phones in the early 2000's. Yes before the iPhone as well. Smart keyboard, again Windows Mobile. AirDrop has been on OSX for a while and now they are just opening it up to share between phone and PC. But its simply just bluetooth sharing which has been around for years. All this to say your rant makes you sound just as bad as the Apple fans that rant. I have no loyalty to any brand I use what makes my life easier and don't care how other people look at it. Maybe you should try that route. You have no loyalty to any brand but just made a long post defending Apple. Yeah,, ok dude. Bluetooth sharing has been around for years. But not on Apple products. What I'm talking about is sharing data and location with other apps. Apple didn't really have that. Windows Mobile never had a resizable keyboard or a keyboard that learns from you. Stop making things up. You keep making examples of things and features that came before the iPhone. Thanks for doing the work for me. They did. But I don't have to say WhatsApp copied as my comments are directed at Apple. That 1000 years comment was no joke. Show me proof where drop down notifications and menus come from WM start menus. And yeah.. You just proved another point of mine by dropping out of the woodwork and defending an iFan who started this whole thing with his trolling comments. Never said they did. Please show where I said that. Your aunt is running kindergarten? That must be the class you're in then. Judging from your grammar. I typed that to fast. My Moto Q shouldn't be on that list it had a physical keyboard, however it still had the same features as the other 2 I mentioned. I know Windows Mobile very well. As I've stated numerous times I was directing my comments towards Apple. You're the dumb@ss who decided to jump in and defend his girlfriend. Not me. How does me not mentioning WhatsApp copied make me a hypocrite? I Must have touched a nerve dude because you're getting all upset like a two year old who hasn't had his nap time. Do me a favor and f@ck off now and go drink your mother's milk. You defended Apple just as much as you knocked it. Now jump off the s*** dude. Oh and thanks again for doing the work for me. It's idiots like you that will always work for someone else. Care to paint my house and clean out my attic while you're at it? Your a hypocrite because you don't care Whats App copied but care Apple copied. Again I didn't do your work for you because the whole time I was arguing that everyone copies while you argued only Apple. So I showed you. You touched a nerve because your stupidty actually offends me. And knocking Apple and supporting Apple means what exactly Im confused on that point and why I need to jump off. If I show both sides it means I can make a rational decision and am not a raving fanboy as you have proven you are. And I hope your attic burns while your in it, theres my "two year old" comment for the day again your welcome. Still stalking me huh?? Is it my charming smile that's attracting you? Not mentioning WhatsApp in a conversation pertaining to Apple is being a hypocrite how? I must have really touched a nerve now! Unrequited love hurts so much huh?? As you can see I'm not taking you serious in any type of way because you are what is known as a non factor. You don't factor into anything I do or say here or anywhere. But it's good to know I can get under your skin as only dimwitted dolts. Allow that to happen. NNow please take your amoeba sized brain and quick Googling hands which I can only assume are used for other sundry and disgusting things and go away. I won't be responding anymore. Wouldn't want my wife to think I'm falling for your advances and flirting.